For some time now, I've wanted to check out AppHarbor, a cloud service to host .NET applications that includes a build environment, executes tests and deploys successful builds to one or more app servers. They use Amazon's cloud computing infrastructure as their backend. The smallest package is free so there's no good reason not to check it out. Once you're done with that, you can choose where your code is hosted – this assumes you version control your source code using e.g. BitBucket, CodePlex, or Git. 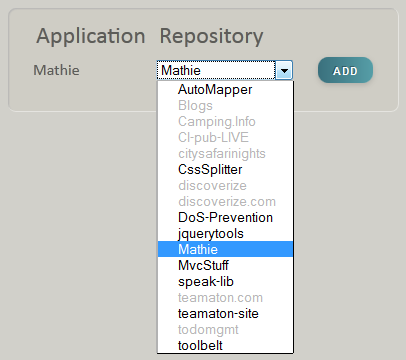 They also have a solution for the situation where you don't host your code anywhere, using a built-in Git repository. I didn't use that option, though, since I have an account at GitHub. Clicking on "Configure GitHub to deploy to AppHarbor" directs you to the GitHub logon screen (if you're logged out) where you simply sign in. What I read between the lines is something like: all your base are belong to us! I mean, it basically says that they can do to all of my projects … well, anything, really. 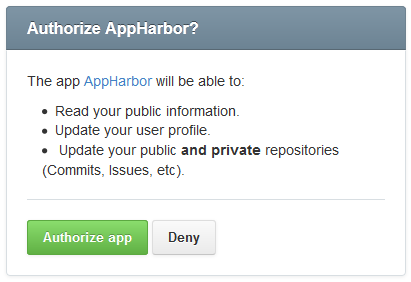 Since I didn't want to create a new account just to try out AppHarbor and, honestly, because I somehow felt that they wouldn't destroy all of my work, I clicked "Authorize app". Phew! Remark: You might choose to use a different GitHub account for your deployments, using e.g. copies of your repositories locally where you just copy everything you need from your dev repo. Then you can grand AppHarbor access to that account without much ado. Under the Hostnames link I found that they had given it http://mathie.apphb.com/ and after a couple of seconds I saw my app online on AppHarbor. That was easy – how about deploying a new version? The commit was picked up within seconds! 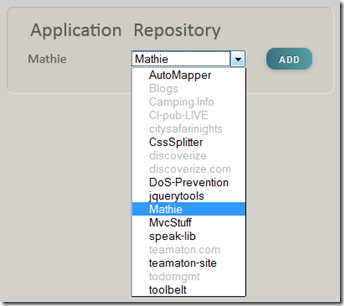 Another click on Deploy gets the new version out there. Remark: On their homepage they say that apps get automatically deployed once build and test runner finish successfully. This was not the case here, and I didn't find any setting to enable this. If you know how that works, please leave a comment. AppHarbor contains an add-on infrastructure and already offers several add-ons that you can install with your application. Most of them charge an extra monthly fee, some of them also offer a free plan. There are mostly analytics add-ons and DB engines, including dedicated MS SQL Server, RavenDB, MySQL, a PostgrSQL flavor, and a few more. Should be good for any smallish app that you just want to set up and forget about! For $10/month you can also assign your own host names which makes this a viable solution. It saves you from installing and maintaining a separate build server with something like TeamCity or CruiseControl running and is also almost easier to set up. Where are you gonna host your next app?